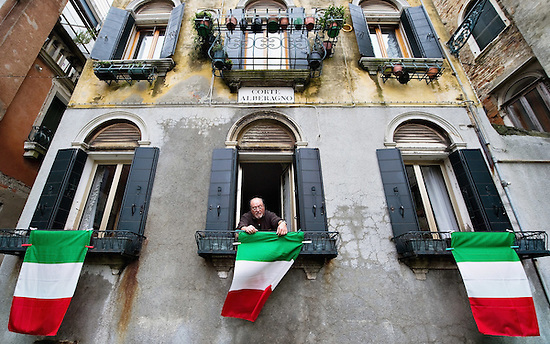 Italy celebrated yesterday (17 March) the 150th anniversary of its unification. But the country has never been so divided, with separatist forces gaining ground in the north and south alike. Anniversary celebrations took place all over Italy. The government decided to call a national holiday to mark the special occasion. Separatist movements are gaining ground and the government itself is dominated by a party (Lega Nord) which began its political life by explicitly calling for the secession of the wealthier north from the rest of the country. Lega Nord's anti-national stance was blatantly confirmed during yesterday's celebrations. In addition to four ministers, just one of the right-wing party's 85 MPs was present at a solemn ceremony in the packed Italian Parliament in Rome.